Franca is a Canadian feminist historian of women and gender, the immigrant working classes, and the Cold War in Canada and a transnational scholar of Italian women workers and radical antifascist exiles around the globe. Her accomplishments include her award-winning scholarship, her mentoring of students, and her outreach to women, working-class, and multicultural communities. An activist historian, she is a co-founder of the Canadian Workers Arts and Heritage Centre and has been involved in various film projects, including, most recently, a documentary on wartime internment. She is president of the Berkshire Conference of Women Historians and host of the upcoming Berkshire Conference in Women’s History at UofT in 2014. Franca’s scholarly output includes ten books, two of them single authored volumes, several guest-edited journal theme issues, and numerous scholarly articles. Her most recent monograph, Gatekeepers: Reshaping Immigrant Lives in Cold War Canada (2006), won the Canadian Historical Association’s Sir John A. Macdonald prize for the best book in Canadian history. It was also a finalist for the CHA’s highest award, the François-Xavier Garneau Medal. Her first book, Such Hardworking People: Italians in Postwar Toronto received multiple awards, including the Floyd S. Chalmers Book Award. 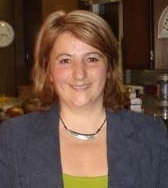 Her articles on Italian women workers, on marital abuse and murder, and on sexual fears of foreign men in Cold War Canada, respectively, won the CHA’s Hilda Neatby prize for the best article in women’s history (co-winner); best article published in the Canadian Historical Review (co-author Karen Dubinsky); and the CHA’s best article in the history of sexuality. Franca is completing a SSHRC-funded book, Immigrant Gifts, Spectacles of Citizenship, and Community-based Pluralism before Trudeau: A History of the International Institute of Toronto in North American Context, 1940s-1970s and continues to work, both individually and collaboratively, on Virgilia D’Andrea and her comrades in the transnational anti-fascist movement of the 1920s and 1930s. Two recent articles draw on these projects: “Betrayal, Vengeance and the Anarchist Ideal: Virgilia D’Andrea’s Radical Antifascism in (American) Exile, 1928-33,” Journal of Women’s History (accepted, scheduled for spring 2013) (with Lorenza Stradiotti); and “Immigrant Gifts, Canadian Treasures, and Spectacles of Pluralism: The International Institute of Toronto in North American Context, 1950s-70s” Journal of American Ethnic History, 31:1 (Fall 2011) 34-73.